When we say “salt”, we usually mean the stuff we sprinkle on our chips, which is sodium chloride (NaCl). But, technically speaking, this is just one example of a salt. In chemistry, a salt is an ionic compound that comes from the neutralisation reaction of an acid and a base. Let me explain that for you. Molecules that have an electrical charge are called ions. Those with a positive charge are cations, and those with a negative charge are anions. They’re like the opposite ends of a magnet, so anions attract cations. Acids are substances release positively charged hydrogen ions (H+) when in water, while bases release negatively charged hydroxide ions (OH-) in water. When mixed together, they neutralise each other and produce a salt. So salts are just made up of positively charged cations bound with negatively charged anions. Sodium chloride is a positive sodium ion (Na+) bound with a negative chloride ion (Cl-). The properties of salts differ, depending on which ions are combined. Not all salts are safe to eat, and not all of them taste salty. The cation determines if a salt has a salty flavour, and the anion determines the intensity of that flavour. To interact with our taste receptors, salts first have to split back – or dissociate – into their ions. This requires a solution, such as saliva or water. So if you stick your tongue out until it dries and put salt on it, you won’t taste the saltiness. While adding salts to water is a pretty safe chemical reaction, in their elemental state, each component can be highly reactive. Sodium and chlorine both react violently with water, but are stable when their ions are together in a salt. Sodium has a famously energetic response to water. Chlorine is also rather nasty stuff. Humans have been adding salt to food for thousands of years for two simple reasons: it’s a cheap and natural preservative; and it makes food taste better. Adding salt makes food last longer by reducing the “water activity” of foods. Salt essentially soaks up the water, creating a “dry” environment where it is difficult for the bacteria that spoil food to grow. Salt also draws water from the moist insides of bacteria to the drier environment, killing them. At the right levels, salt tastes good. It is likely that salty evolved as a pleasant taste to encourage us to consume the required amount. Salts are important in many biological processes, like nerve signalling, so we need some salt in our diets. Salt is also a flavour enhancer. Add a little salt and almost everything tastes better. For example, adding salt to chicken soup doesn’t just make it saltier, it makes it taste thicker, more balanced and more “chickeny”. Salt does this in a number of ways. Salt suppresses the bad flavours in food, allowing the more pleasant ones to dominate. When researchers mixed bitter and sweet solutions together in a taste test, adding salt made the mixture taste sweeter. But in the sweet solution on its own, adding salt didn’t improve the flavour as much. Many vitamins and antioxidants taste bitter. Adding salt to foods that naturally contain, or are fortified, with these bitter compounds make them taste better. That’s why we often add salt to our green veggies. Salt also reduces the amount of unbound water, known as the “water activity”. This leads to a relative increase in the concentration of the other flavour components, improving the aroma, flavour and “thickness” of foods. Habitually eating too much salt is linked to conditions such as cardiovascular and kidney disease. Excess salt in a single dose is not good either. 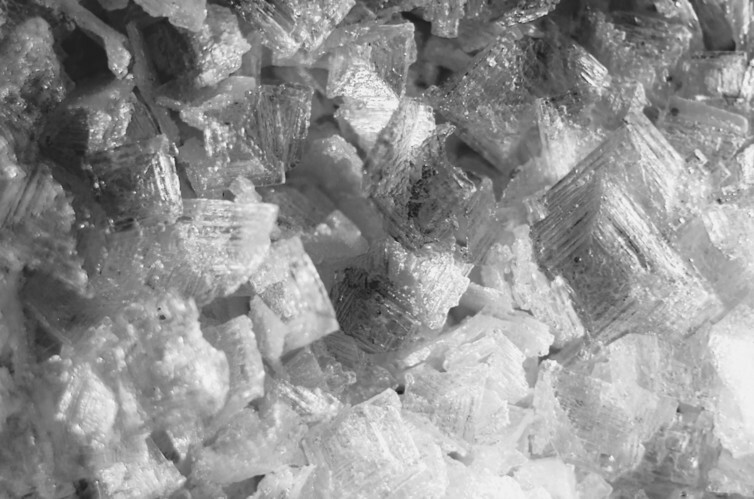 Without enough water to match, excess salt disrupts the processes that depend on a particular salt concentration. Excess salt also stimulates the bitter and sour taste receptors, as part of “defensive eating”. This is why adding some salt to food improves taste, but adding too much spoils the meal. The level of salt that tastes pleasant or unpleasant varies among individuals. This is partly due to our genes, but acclimatisation also occurs depending on our normal dietary habits. People with a diet normally high in salt adapt to prefer more salt. Those with low salt diets in early life eat less salt and have lower blood pressure in later life. However, we can use this acclimatisation in reverse as a strategy for reducing salt intake. This can be slowly adding less to your own food, as well as food manufacturers reducing the levels in their products slowly over time, allowing consumers to adapt. Potassium chloride is another salt sometimes used to replace sodium chloride. However, as it also tastes bitter, so it can only act as a partial replacement. By using even more complex mixtures of salts, we may be able to enhance the salt flavour and so use less. Another approach is to make the salt dissolve more efficiently so the taste hits you faster. By adding salt to the surface of foods, rather than mixing it in, the salt meets the saliva more quickly. Reducing the salt particle size, which increases the surface area, also lets the salt dissolve more quickly in saliva, increasing the “saltiness”. Another interesting solution has recently emerged from a team of Japanese researchers: a fork that gives your tongue small electric shocks as you eat. The electrical impulse simulates a salt flavour and reduces the need to add salt to your food. Much of the salt we eat is hidden in food that many people wouldn’t even call “salty”. And Australians are eating more than the recommendations. So now that you know the science, you can use it to make informed choices on salty foods.